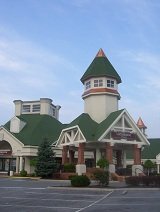 The Tanger Five Oaks Outlet Pigeon Forge Tennessee is your opportunity for buying and saving on purchases of your favorite brand names direct from the manufacturer. This is a one-stop shop…over 100 stores to choose from in one location! To break it down, they have 50 plus apparel stores, 20 or more stores that offer accessories, 20 some specialty stores and several restaurants. The Tanger website has coupons and special offers that you can print and use on your shopping excursion. You can also print out a store layout on the website to save time figuring out where shop. Make sure to stop in at the Tanger Five Oaks Outlet Pigeon Forge Tennessee customer service office and ask for current discount coupons and also sign-up to become a TangerClub member. 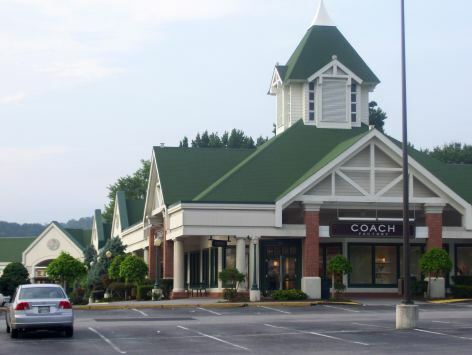 They also have a list of activities that are planned every month at the outlet in Sevierville. For example, they offer musical venues, sidewalk sales, tickets to a local amusement park, etc. You can also join the Tanger Birthday Club and receive the seasonal specials as well as free stroller rental for only $10 per year! They offer military discounts as well as discounts when you show your AAA membership card. Don’t worry about packing the stroller or wheelchair; they rent these as well as vending machines, ATM machines and a complete customer service center. By the way, the city trolley makes a stop at the mall! We did some big time shopping at many of the Tanger Five Oaks Outlet Pigeon Forge Tennessee stores today. I picked up some shorts, shirts and a new suit at a great price. Beth needed to purchase some bridal shower gifts and found some great ideas in several stores. This place really has everything you need to fit your style and taste. Speaking of tastes, we did stop at the Fudgery and sample fresh warm fudge to finish off our shopping on the right foot. They have tasting demonstrations throughout the day, so be sure to check that out. Driving directions to Tanger Five Oaks Outlet Pigeon Forge Tennessee: From I-40 take Exit 407 (Hwy 66) South. Veer right and Hwy 66 turns into Hwy 441 South. Tanger is located at traffic light #13 (Just north of Pigeon Forge).